Sources: Scarborough, William E. PBY Catalina, In Action No.62. Squadron/Signal Publications, Carrollton 1983. ISBN 0-89747-149-0. Kinzey, Bert. PBY Catalina in Detail & Scale. Squadron/Signal Publications, Carrollton 2000. ISBN 1-888974-19-2. Janowicz, Krzysztof. 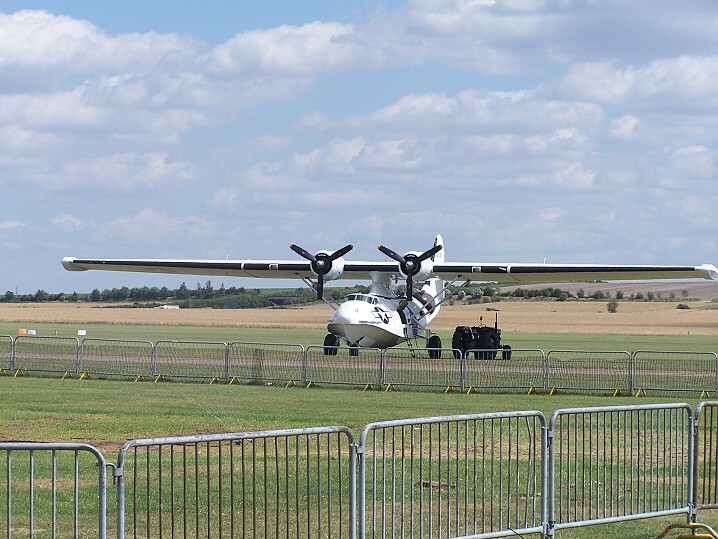 Consolidated PBY Catalina, cz. 1, Monografie Lotnicze 84. AJ Press, Gdańsk 2002. ISBN 83-7237-114-8. Janowicz, Krzysztof. Consolidated PBY Catalina, cz. 2, Monografie Lotnicze 85. AJ Press, Gdańsk 2003. ISBN 83-7237-118-0. Wegg, John. General Dynamics Aircraft and their Predecessors. Naval Institute Press, Annopolis 1990. ISBN 0-87021-233-8. Munson, Kenneth. Flying Boats and Seaplanes since 1910, Blandford Press, London 1971. Bowers, Peter M. Boeing Aircraft since 1916. London, Putnam 1989. ISBN 0-85177-804-6. Původně se jedná o stroj RCAF sn 11005.